This posting twice in one week is feeling quite foreign to me, so please be nice. I just had to spell foreign about 12 times before I got it right. Good thing I got a degree in Journalism… While editing the photos for this post, and the one before, I realized that I took a ton and I would annoy the crap out of each and every one of you if I posted them all in two posts. You can thank me later for being so kind. I do accept gifts. I said it before, and I’ll say it again: the home has all of the original furnishings which is huge and awesome. Actually awesome, not like “totally awesome, dude”. Also, this was only a country house, just a small ole country house for the weekends. Guests arrived on Friday and were expected to get the hell out on Sunday. Seems like the Vanderbilt’s and I would have got along great. Without further ado, let us get down to brass tacks. The photos. 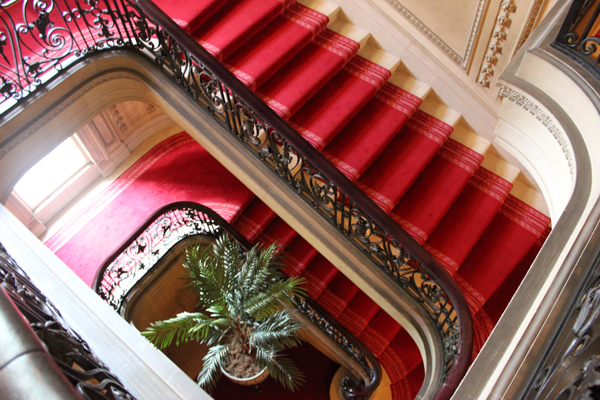 I was really obsessed with the staircase so you’re going to have to see another photo of them. Sorry, I’m not sorry. 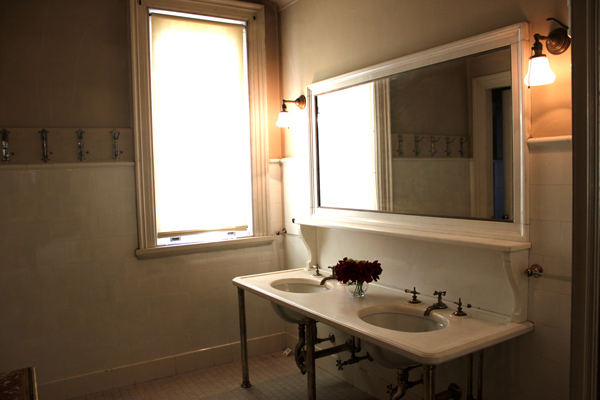 I really wish my bathroom looked like their guest bath on the first floor. Instead of using some heinous grey-green subway tiles, I would have been very pleased with all white and soft peach walls but you can’t win them all, right? 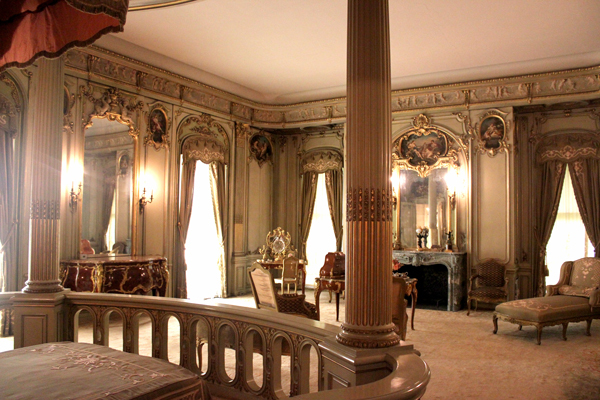 Mrs. Vanderbilt’s sitting/dressing and bedroom was out of this world. The lady liked French and French she got. 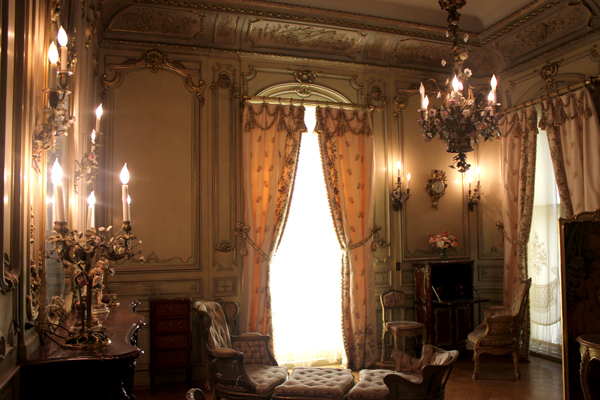 Apparently she saw Marie Antoinette’s room and was like “gentlemen, put me down for one to these”. You can’t blame her, can you? I can’t. I can’t say I love the cherubs, but hey, I think I could make do. Funny story about the last photo. 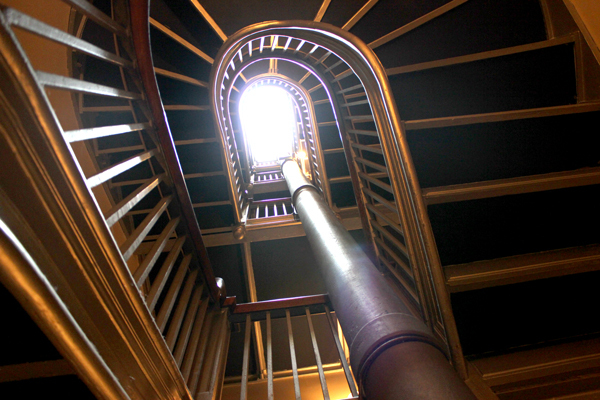 The Park ranger said “Anyone with a camera should get a shot of the staircase, it’s a really great photo” and of course, I pushed aside two senior citizens (because MOVE) and snapped away like a freak. Another gentleman with the group tried to take the same photo and said “can’t get a good shot, it’s too light up there” and I said “you’re doing it wrong” out loud…instead of to myself. Apparently I am not older and wiser. But hey, I taught him how to take his camera off auto and actually use it so I consider that a good deed! Part three, which will mostly be amazing photos of the grounds and a special surprise will be coming right up. Here is part one, if you missed it. Go: Vanderbilt Mansion – from NYC you can take the Metro-North Hudson line to Poughkeepsie (hometown of Snookie) and rent a car and make the short drive north. Stay: Journey Inn – right across the street! This blog name is pure genius really. In fact, I should probably rebrand yet again and copy you because I am totally a sporadic blogger these days. 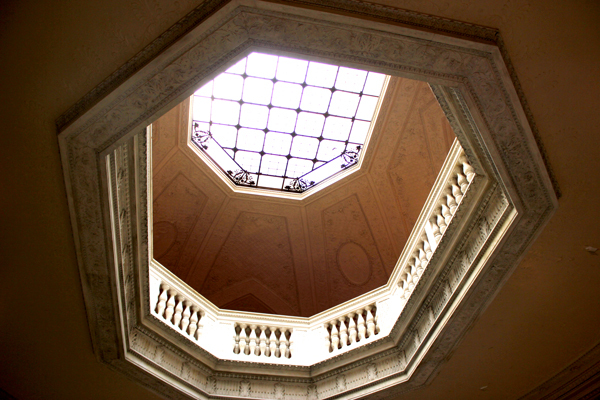 The Vanderbilt mansion is unreal and is making me feel extra woeful while house hunting in Munich. I feel for you NYCers now. Can you teach me to take a photo off of auto!?!? I’m helpless with my big, fancy camera. Soooooo pretty. That bathroom is epic. Eff you Mrs. Vanderbilt, I’ll take 2. Those moldings! Seriously, I can’t imagine living in a place like that, but if it were an option, sign me up for one too. Marie Antoinette, Vanderbilt, and Emily Trout. Totes.